A man who stabbed a customer in a Subway after being asked to wait his turn for a cookie has been jailed. Rekan Kakarash, 21, walked into the sandwich shop at around 9am on July 22 last year and immediately demanded a biscuit, ignoring a customer at the till. The 35-year-old customer told Kakarash the solitary staff member was making his sandwich, meaning he would have to wait in line. Kakarash then head-butted the victim in the side of the head and made a stabbing motion with his car keys. The man stumbled backwards and there was a scuffle before Kakarash pulled a lock-knife from his pocket. The victim backed away until he was trapped against the wall of the shop and Kakarash stabbed him in the shoulder. The man then managed to hold Kakarash on the floor and police were called. 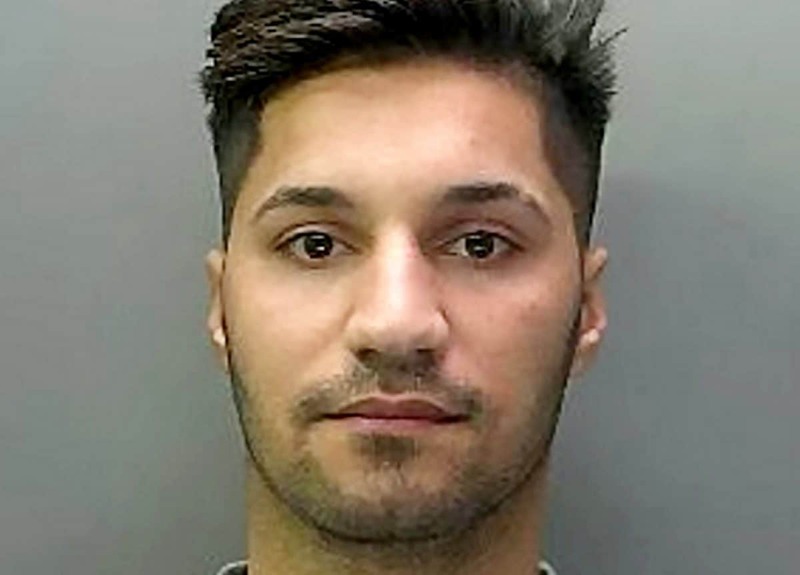 Kakarash, from Peterborough, Cambs., pleaded guilty to causing grievous body harm and possessing a knife in a public place and at Cambridge Crown Court on Thursday. He was sentenced to 15 months in jail. Detective Sergeant Thomas Power said: “Kakarash was simply told to do the polite thing and wait to make his order but responded with violence.